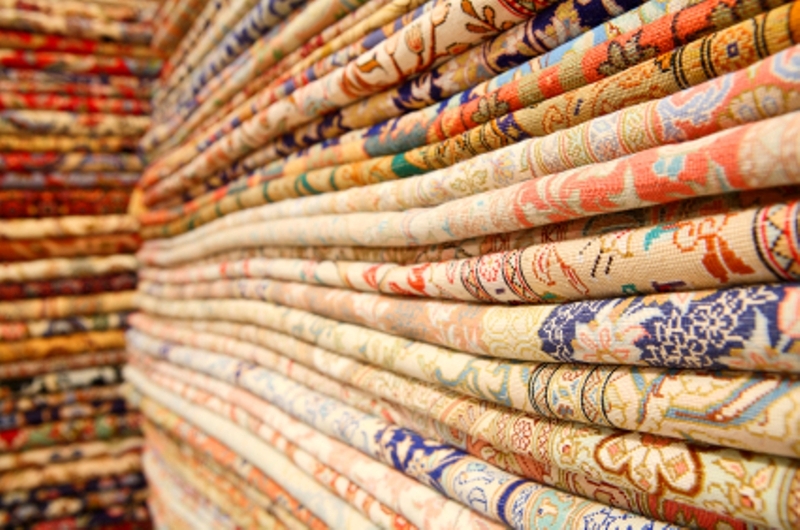 We offer specialist cleaning for all types of rugs & textiles - large or small - Wool and Silk Rugs - Oriental, Modern & Contemporary Rugs - Hand Made & Machine Made Rugs - Antique Rugs - Persian Rugs - Afghan Rugs - Turkish Rugs - Pakistan Rugs - Chinese Rugs - Indian Rugs - Kilims - Needlepoints - Tapestries - Sisal Rugs - Seagrass Rugs etc. We also offer our services further afield throughout Wiltshire, Gloucestershire, The Cotswolds, Oxfordshire, South Northamptonshire, West Berkshire and the Bristol and Bath area. We occasionally cover parts of Dorset, Hampshire & Somerset by arrangement, depending on distance and size of job. If your area is not mentioned – Contact us to see if we cover your area and receive a FREE no obligation quote. Why choose Marlborough Rug Company to look after for your rugs? We offer extensive experience of rug cleaning, rug repairs and/or full restoration of all Oriental, Handmade and Machine made rugs and carpets built up over the many years we have been involved in the Oriental Rug business. We have seen most scenarios over the years and have the facilities and knowledge to clean and/or repair all types of rugs from new and old or antique handmade Oriental rugs to modern rugs of all sizes, whether made of wool, silk or manmade yarns. We are very happy to advise on and recommend the work needed and will give you an honest appraisal so you can decide which service best suits your rug. If it is not economically viable to revive your rug, we will help you make that decision and can help you to find a replacement if necessary. If you love your rugs, give them the care they deserve. Your rugs may be family heirlooms passed down, an investment or beautiful statement pieces for your smartest rooms. Therefore we look after your rugs like they were our own. Once we have discussed your requirements and advised you on our services, we will personally collect your rugs and take them to be cleaned and/or repaired at our fully equipped workshop, where our dedicated team of highly skilled master cleaners and restoration professionals use a combination of modern rug cleaning equipment and traditional methods to achieve the best results for your rug. We are professional rug specialists, therefore each rug is assessed before any work is carried out in order to select the most appropriate method of cleaning and/or form of repair or restoration required. Factors that determine the processes we use are the fibres the rug is made from, usually wool or silk, how colour fast the dyes are, the base construction (wool, cotton or silk) and the age and condition of the rug. Old, antique and damaged rugs require more delicate care. We clean silk rugs too however special treatment and extra care is needed when cleaning silk rugs and therefore we quote on a case by case basis. Due to our passion for beautiful rugs, we love to revive and restore them back to their former glory. As one of the leading rug specialists in the South of England, we are very proud of the results we can achieve, returning rugs to our customers that surpass their expectations. Our customers are our best critics - See what some of them think of our services. The multi-stage rug cleaning services we offer, result in a very thorough, deep clean, removing dirt and stains other processes on the market cannot achieve. Commercial carpet cleaners, whilst doing a great job on your fitted carpets use chemicals designed for fitted carpets and not for handmade rugs. We use water based mild shampoos developed for fine oriental rugs and never use any harsh alkaline based cleaning fluids which can bleach natural dyes and dry out the wool, stripping the natural lustre and making it weak over time. We want to prolong the life of your rug which is exactly what our cleaning process does by removing years of dirt, dust and grit that gets trapped deep into the pile of your rugs. This dirt is abrasive therefore when constantly walked over will wear the pile down and eventually can cause the rug to develop bald spots or holes, both of which will require extensive and costly restoration. Dry cleaning and/or just hoovering alone will not remove all this dirt. Depending on the traffic your rug gets, we recommend having your rug deep cleaned every 2 to 5 years. Take a look at our services below and Contact us for a FREE, no obligation quote and advice. This service offers a thorough surface dry clean of the rug only. We recommend this service only for freshing up a rug that has been cleaned regularly and is not too dirty and has no marks or stains. This service offers a very thorough surface clean of the rug only. After the initial test of the rugs dyes for colour run and fixing solution applied if necessary, we select the correct cleaning solutions/methods using a mix of specialist rug cleaning equipment and hand cleaning. The rug is 'beaten' with our specialist rug dusting machine that has a vibrating and beating action with jets of air to loosen and remove all dust, grit and ground in soil. This is the key to getting a very clean rug. Once completely dust free we then wash the surface of the rug to remove all remaining soiling from the pile fibres (A full water tank immersion to deep clean right through the rug, back and front, is available on the Premium level). The rug surface is washed, stains are spot treated before the rug is fully rinsed with fresh water, spun to remove about 90% of water and then hung to dry in our temperature controlled room and the pile brushed and reset to bring up the lustre. Once dry, all rugs are vacuumed with our powerful hoovers before being wrapped ready for return. This service may not always completely remove all stubborn ingrained marks and stains*. For the best results if your rug hasn't been cleaned in a while, we would advise the Premium Clean to prolong the life of your rug and avoid more frequent cleaning. The process commences as per the Standard Service with the dyes tested for colour run and fixing solution applied if necessary and the appropriate cleaning method and solutions selected. Followed by a thorough dusting of the rug using our rug 'beating' machine in order to remove all dust, grit and ground in soil. This is the key to getting a very clean rug. Once the rug is completely dust free, the rug enters our rug bath where we rinse the rug on both sides with jets of water that removes all remaining general grit and dirt from deep within the pile. After rinsing, we fully immerse the rug in our rug bath and wash it thoroughly with the chosen solutions, on the front and the back of the rug. Washing is done by hand and using specialist equipment to remove all deep set dirt, addressing all marks and stains, removing those that can be removed. Most marks are removable using our various specialist methods during the cleaning process, however if a stain will not come out using standard stain treatments, we can employ extra treatment, if required, to remove many stubborn stains, usually improving most greatly if not 100% removed*. We will advise as best we can if we think stains are permanent. Many stubborn stains will usually improve greatly even if they can’t be entirely removed*. We take care to clean all fringes too, bringing grubby brown fringes back to life. The rug is then thoroughly rinsed on both sides with fresh water before being dried in our temperature controlled room. During the drying process, the rug is prepared for finishing, resetting the pile so that the knap is all going in the right direction. Once dry, the rug is brushed again to bring up the lustre of the wool. All rugs are vacuumed with a powerful hoover before being wrapped ready for return. Due to the very thick wool pile & intricate carving detail, this type of rug requires more work to professionally clean and has an increased cleaning and drying time and we price them separately for this reason. We reserve this service for rugs that are heavily soiled, very smelly, pet stained or have been home to visiting moths. Ideal for extra peace of mind when protecting your rugs - cleaned as per our Premium Service however with the addition of Deodorizers, a Moth/Insect protection and Stain Guard protection (where applicable). We also clean silk rugs. We quote for silk on a case by case basis as careful attention and a specialised treatment may be required when cleaning silk rugs in order to address any stains or marks on the silk and evaluate how colour fast the dyes used are. Minimum cleaning price of £50 for very small rugs to cover our costs and time.